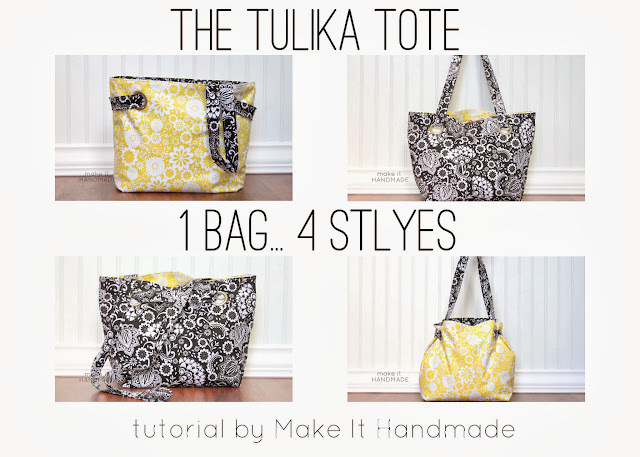 Last month I made the Tulika Tote from this fun Riley Blake print. I've used it almost exclusively as my purse since then and just love it! I switch between the cross body and shoulder bag style all the time when I'm out shopping, and the bag is roomy enough for my wallet plus everything else I need during the day. Today I'm sharing how to make this fun and quick reversible tote. This tote was inspired by my sister in law who came to stay the weekend before a business trip. She has a vibrant sense of style for the weekend, but still pulled together a professional look before she headed into the office Monday morning. This tote is the same way! It's a simple back and white print on side and would make a perfect shoulder bag for the office. It quickly changes into a stylish and fun crossbody bag for the weekend (or just after work). Want to make your own? It's simple! The secret is in the grommets and continuous strap. Even if you've never made a bag before, you'll find making this one a breeze! 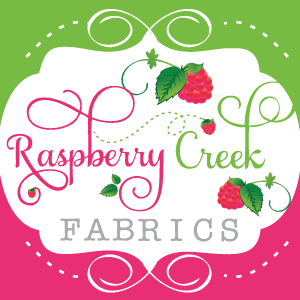 Start with a 2 15" x18" cuts of fabric for each of your colors. You should have 4 pieces total. Interface if desired. Then cut 3 inch squares from the bottom of each piece as shown. With right sides of the outer peices together, sew the side seam and bottom seam. Press. Pinch the corners together to create a boxed bottom. Sew and press this seam. Repeat The last two steps for your lining pieces. Now you should have two 'bag shapes'. Take the outer piece and put it inside the lining peice with right sides touching. Pin well, taking care to match the sides seams. Sew around the top, leaving a 6" opening for turning. Turn the bag right sides out and press well. Topstitch around the top seam making sure to close up the small opening used to turn the bag. Place your grommets 4 inches in from the sides seams, and 2 inches from the top seam. Install your grommets per package directions. To make the straps, you will need to piece together 5x60 inch strip of fabric. Create the strap by folding the sides toward the center and folding in half as shown. Press well. Thread the strap through the grommets as shown. There is one continuous strap that goes through all four grommets. While the strap is still threaded through the bag, unfold the raw ends and sew them together. Topstitch the strap, moving the the bag out of the way until the entire strap is secured. Now all that's left to do is enjoy the bag! The bag is my favorite size and would be perfect for traveling. Just one bag would look perfect for sightseeing as well as fancy dinner out, all while carrying all the essentials. For another fun simple bag, check out the Cake Clutch. It's a simple wristlet that can actually be made entirely with the scraps from this bag.